In the world of muscle building supplements, you may not always be aware of what could possibly inside that batch that you just purchased. One case of this is what’s referred to as “random batch spiking”. This is when the manufacturer of a supplement sprinkles an illegal ingredient into the mix. However, you’ll only find the legal ingredients posted on the label, not the illegal substance. What kind of illegal substances are we referring to? Well, there’s been substances such as Clenbuterol, which is a very popular fat burning substance (although it’s actually an asthma medication that can only be sought after legally via a doctor’s prescription), and Dianabol, one of the most popular and effective oral anabolic steroids ever! Now, why would the maker of a certain supplement want to do this in the first place? First off, unless you aren’t specifically testing for them, they won’t show up on a random drug test. 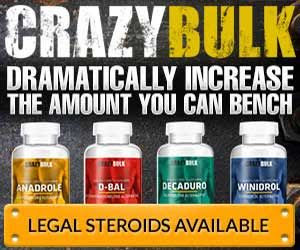 Also, and this is the main reason, is that if a newly introduced muscle building supplement gets the reputation amongst buyers / users that it has these “anabolic” properties, that it feels like “taking steroids”, then it will give it a better chance of becoming a hit in the bodybuilding market......making its sales skyrocket. Once it gets the word out there, then the manufacturer can stop placing the illegal ingredient into it.......although doing that would make the supplement lose its muscle building effects. But hey, if they’re making money...who cares, right?